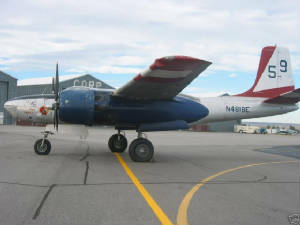 Reeder Flying Service has been in operation since 1941. 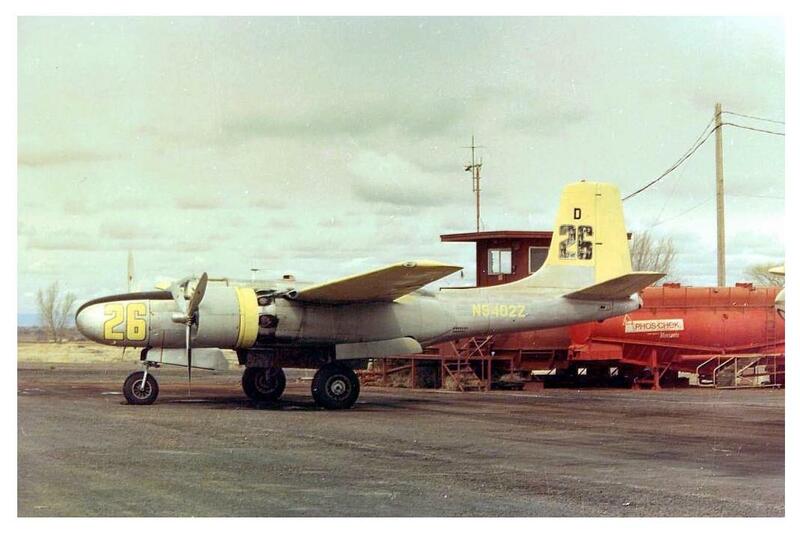 Charles Reeder built his business with a lot of hard work and determination, which is still the work philosophy here at Reeder Flying Service. We specialize in line service, customer service, helicopter charters, aircraft maintenance, parts sales and aircraft sales. Allied Aircraft Sales, Phoenix, AZ, 1966-1969. Thompson Flying Service, Salt Lake City, UT, 1970. Reeder Flying Service, Twin Falls, ID, 1972-1984. - Flew as tanker #28. 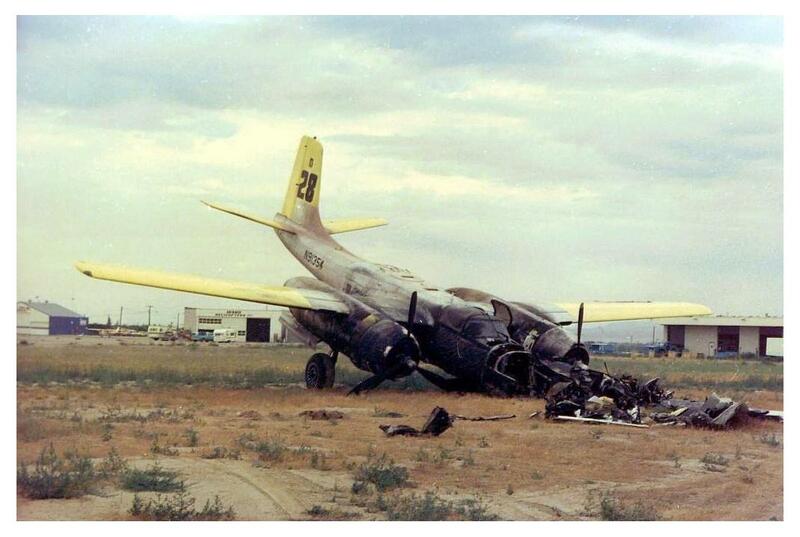 - Ground collision with Beech 23 after landing, destroyed by fire, Boise, ID, Aug. 1, 1974. 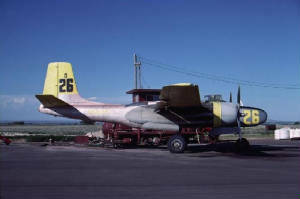 - Stored dismantled in scrapyard, Boise, ID, 1980s. DAMAGE-SUBSTANTIAL  OT-  1  0  0                            NOT INSTRUMENT RATED. 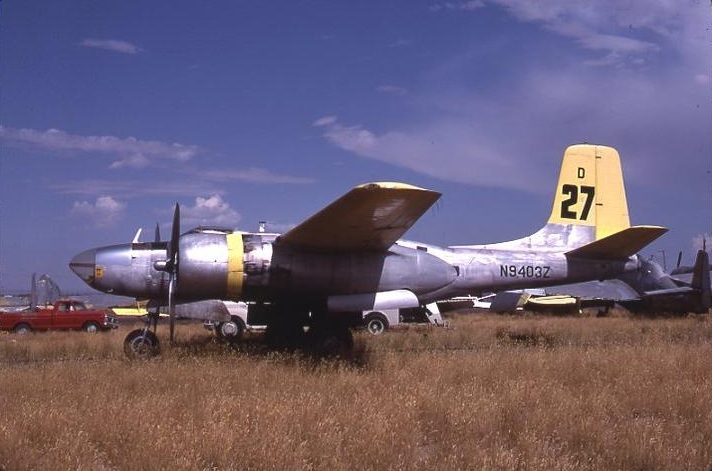 REMARKS- B-26 TAXIING EAST,BEECH NORTH.COLLIDED NR CTL TWR.B-26 PLT DIED 8/4/74. 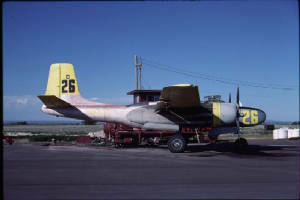 - Stored at Davis Monthan AFB, AZ, Mar. 6, 1958. - Surplused, June 11, 1958. Rock Island Oil & Refining Co, Wichita, KS, 1960-1969. - Converted to Rock Island Consort 26 configuration, Hutchinson, KS. - Converted to tanker but not used. 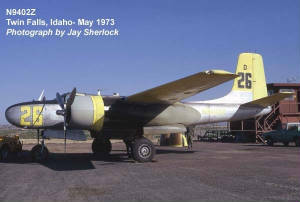 Lynch Air Tankers, Billings, MT, 1975-1992. 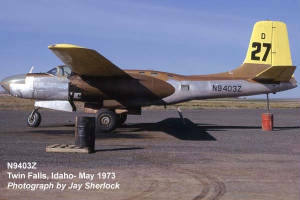 - Flown as tanker #58. 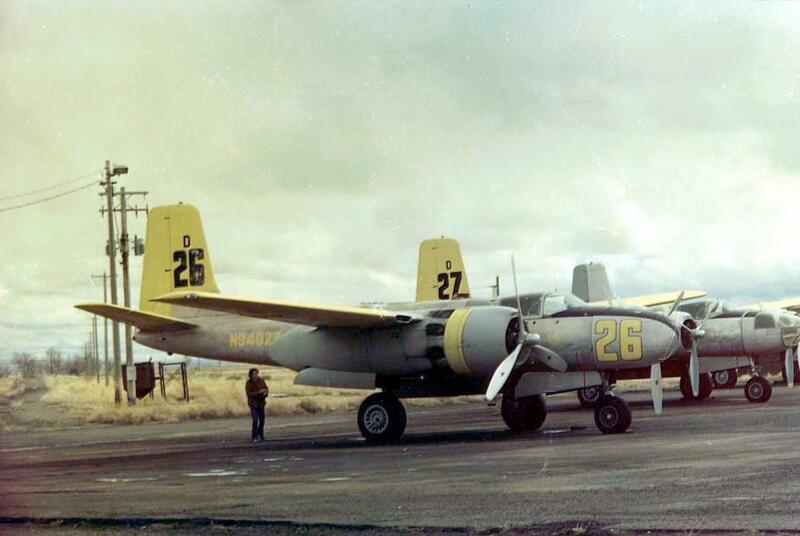 - Converted to Lynch STOL 26 configuration by Lynch. Jerry Slater, Seattle, WA, Sept. 25, 1992. Tony N. Grout, Spanaway, WA, ?Aug. 10, 1993-2000. Air Spray Ltd, Red Deer, Alberta, Jan. 18, 2001-2007. - Stored Red Deer, 2001-2002. - Engines and control services removed. - Marked as tanker #58. 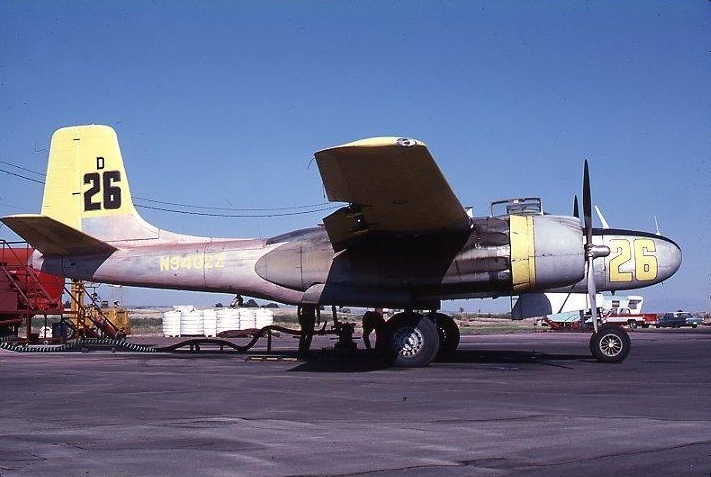 Idaho Air Tankers Inc, Boise, ID, 1963. 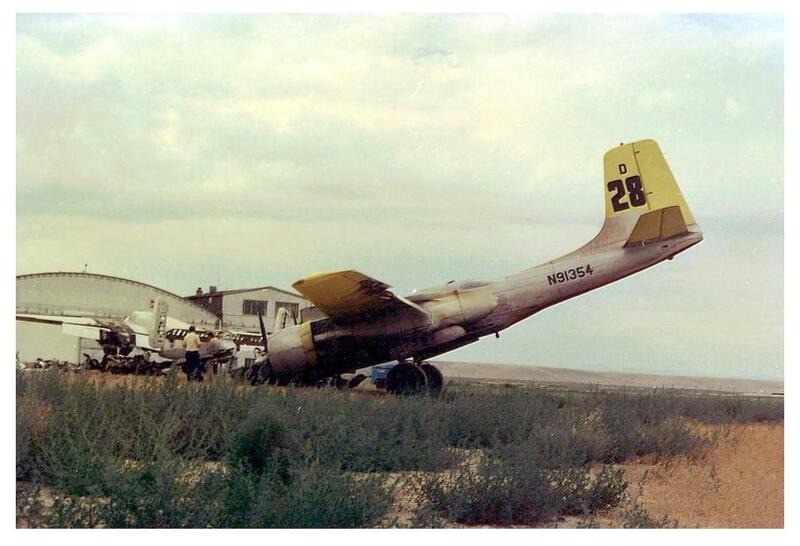 Reeder Flying Service, Twin Falls, ID, 1966-1972. 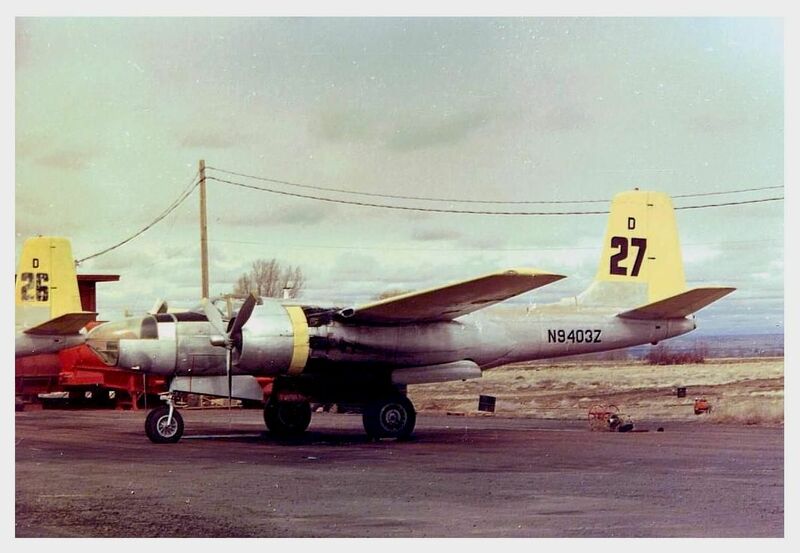 - Flew as tanker #26. Air Spray Ltd, Red Deer, Alberta, 1989-2002. 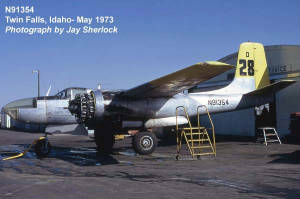 - Flown as tanker #26.